Greetings from a new member to the forum. I'm not sure where I'm supposed to post "for sale" ads, so forgive me if this isn't the place. 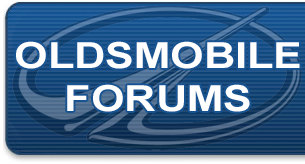 I'm a member of the Corvette forum and the Boss 302 Registry and kind of know my way around these forums. A colleague of my wife is selling her 1971 Olds and asked for my help. I have 40+ years of experience and agreed to help. Should I post here? Any advice is appreciated. You'll have the best luck in the classified section.